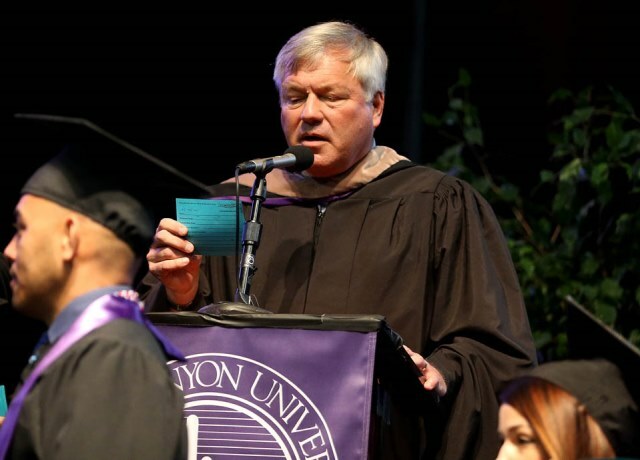 Three days, six emotion-packed commencement ceremonies at Grand Canyon University. Six processionals, directly preceded by the enchanting lyrics of “Follow You,” the featured song on the new EP release from GCU’s Center for Worship Arts. 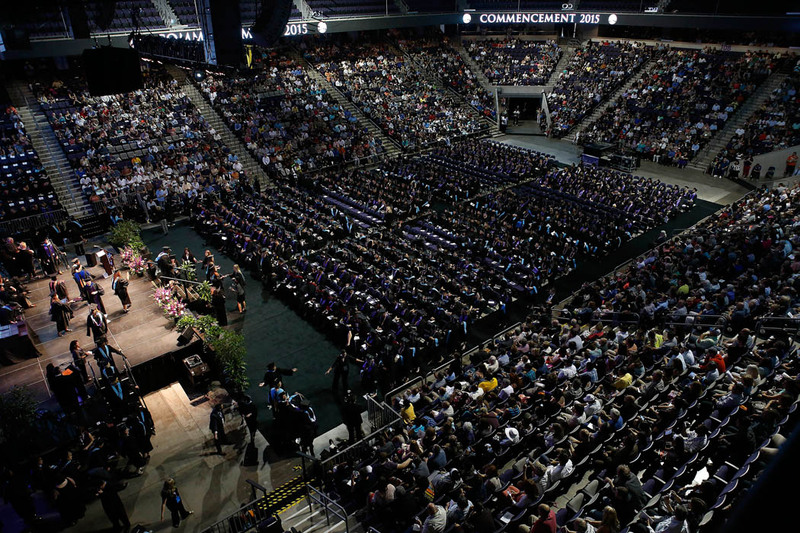 Another half-dozen recessionals, with elated graduates marching and even dancing out of GCU Arena amid the strains of OneRepublic’s “I Lived,” smiling, waving and radiating pride and accomplishment. In between, the steady stream of graduates getting their diplomas, one raised fist after another, diplomas held up with both hands in the classic “I did it” pose while their families cheered. It continued Saturday with the final two ceremonies for non-traditional students, for the colleges of Education and Theology in the morning (665 grads, with a crowd of 3,089 watching) and for undergraduates from the College of Nursing and Health Care Professions in the afternoon (570 grads, 2,218 attendees). For a slideshow from Saturday’s events, click here. 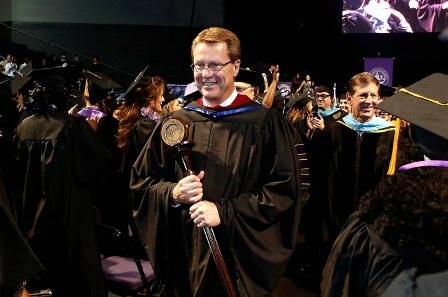 It also continued for GCU executives who led the processional and sat on the stage for every ceremony, all six of them over three days, then stood in the front lobby of the Arena and were part of the crowd giving the graduates a standing ovation as they left the building to find their families. It’s exhilarating, not exhausting. Take it from the man who was at the front of those processionals and recessionals — Pastor Tim Griffin, GCU’s dean of students. “I’ve got the best seat in the house,” he said. “I get to see them at the beginning where there’s this level of anticipation for what they’re going to feel and experience. You can see it in their eyes when I first get up there, and then once they line up, I’m in the catbird seat. But as the ceremonies morph into one another, it’s also an endurance test. And no one faced more of a challenge in that regard than Dave Smith, director of academic excellence in the College of Education. A week and a half before commencement, Smith’s deep baritone was more like a “barely tone,” the result of a monthlong illness. That was a bit of a problem because it is Smith’s annual duty to be one of the two people who announce the names of the graduates as they come across the stage. Desperate, he went back to the doctor to get medication that would clear up his throat issues, and with the help of that and a lot of lozenges and salt water gargling he was able to make it through all six ceremonies. But he still had to be careful. The name reader across the stage from Smith had a different reason to be nervous. This was the first time for Jaclyn Cripe, who manages employee learning and development on the Peoria campus. She and Smith prepared for each ceremony by going over the list of names, but when they were handed the graduate’s card they had only a second or two to figure out how to say it. But no one in the Arena was more nervous during the ceremonies than Griffin, and for a reason no one would ever suspect. 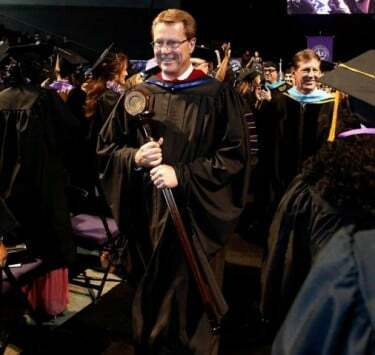 Griffin carries a mace — an ornamental staff with the GCU medallion attached to the top — in the procession into and out of each ceremony, and it sits in a holder on the stage. The medallion was getting wobbly at winter commencement in December, so it was repaired by putting extra lead in the bottom of it. That created two challenges. For one thing, it’s heavier. “That thing has some weight to it now,” Griffin said. And then there was an even bigger issue: The adjustments made it more difficult to get it into the holder, and Griffin was worried that it would go tumbling into the flowers on the front of the stage. But it stayed in place for all six ceremonies, as did Griffin, the other executives on stage and all the event coordinators who made it all come together so beautifully twice a day for three days. 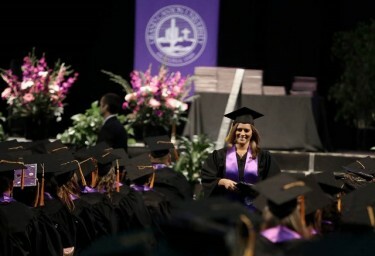 It had to end sometime, though, after Kristie Lara, who just happens to also be an enrollment counselor for the CONHCP, accepted the last diploma Saturday afternoon. Outside, there were the usual hugs and even a few tears as a sunny day had turned threatening and gray. It was time to turn off these emotions until fall commencement in October, but their memories will live on — with both the graduates and the people who watched their big moment. Three days. Six ceremonies. Thousands of purposes found. When she’d tell her friends in Wisconsin that she was enrolled at Grand Canyon University, Chelsea Havens said the reactions weren’t all blank stares. People would ask if that’s the place with all the concerts in that awesome arena. Yep, that’s the one, she would tell them. The 24-year-old niece of GCU President/CEO Brian Mueller is graduating from the College of Education today with a bachelor’s degree in elementary and special education. Havens has another week before she completes her student-teaching placement at an elementary school in Mount Horeb, Wis., where she has worked with first- and second-graders this semester. Then she’ll look for a teaching job in the same region where she grew up on a dairy farm and developed her passion for working with children. Havens said that while it has been great to visit Arizona — and GCU for the first time — she’s also looking forward to getting back to her students bright and early Monday morning. “It’s always nice to go back to doing something you love,” she said. After being homeschooled through high school, Havens said she knew she wanted to earn a degree that would help her help students excel academically. While she’s not clear where she might land, Havens is well equipped for the workforce. “I’m very thankful that I’ve had the opportunity to get that dual certification,” she said. Her 12-year-old daughter, Whitney, died in her arms, and Mattie Attyberry turned her grief into determination to get a college degree. Now she has not one but three. Mattie Attyberry and her husband, David. Whitney’s medical bills totaled more than $200,000, Mattie said, and the hospital put a lien on the Macon, Ga., house Mattie and her husband, David, had just built. She pressed on. When her computer stopped working, she went to the library and used the computers there so regularly, she was on a first-name basis with the staff. 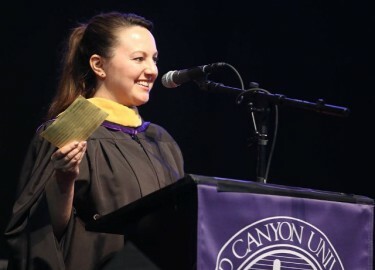 And even though David has been ill and hasn’t worked for about a year, Mattie continued her progress toward her second master’s degree from GCU, in teaching English to speakers of other languages, which she received today. “He wouldn’t let me quit,” she said. “Every time I thought I should quit, I had somebody in the right place telling me I couldn’t,” she said. That included Whitney, who died in 2004 after complications from strep throat enlarged her heart. “I could hear her in my mind saying, ‘Mama, you can do it,’” Mattie said. Sonia Contreras, Attyberry’s GCU enrollment manager, also was in her ear in positive ways. Contreras said Attyberry, 51, had never done an online program and was apprehensive when she first enrolled her in 2008. Yet, despite it all, Mattie still earned a 3.72 GPA in getting her bachelor’s degree in elementary education. Her success is a reflection of the incredible attitude about life she has developed after dealing with such a heartbreaking loss and so many other challenges. Her focus now is on helping the tots she teachers in her pre-kindergarten class. She liked teaching third grade before this year, but getting kids before they start school is even better. And pass it on to others — with some serious determination. If Tamara McFadden ever gets tired of being a nurse, she would make an excellent GCU enrollment counselor. 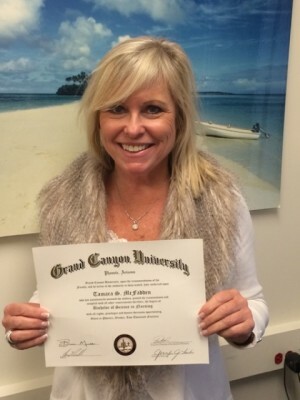 McFadden, 55, a longtime nurse, earned her bachelor’s in nursing today and loved her experience so much, she encouraged two nurses at her hospital in Costa Mesa, Calif., and their daughters to enroll at GCU. She calls herself computer illiterate but was able to complete GCU’s online nursing program in a little more than a year. And she made an effort to share her stories of GCU with as many people as possible. In 2011, the Institute of Medicine instituted a recommendation that 80 percent of nurses must have a BSN by 2020. McFadden’s hospital wanted to expedite the process and asked its nurses to have their degrees by 2017. McFadden graduated with an associate’s degree in nursing from Long Beach State College in 1988 and began working as a nurse. She organized a college fair at her hospital to help herself and other nurses find colleges. 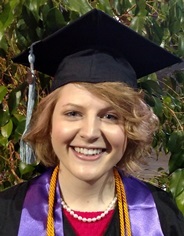 She wanted a university with a reputable nursing program close to California, and GCU was one of two schools that accepted her community college credits. Even though she had never studied online, she decided to enroll. Marette Hahn, McFadden’s academic counselor, would bring her laptop to the office to work remotely with McFadden three times a week for the first month. Eventually, McFadden got the hang of the online classroom and found her experience engaging and enjoyable. 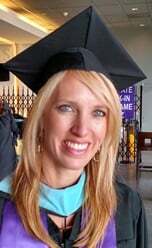 She credits Hahn for her ability to graduate. The two planned to meet for the first time before the commencement ceremony. With three small kids at home, there was no way for Jennifer Cavalcant to comfortably earn her graduate degree by attending classes on a ground campus. Online was her only option. Plus, she works best at night — after the baths and bedtime rituals. The 34-year-old graduates today with a master’s in elementary education and is already putting her knowledge to a great use. She was hired as a fifth-grade teacher at Freedom Academy charter school in Scottsdale in the middle of her studies, enabling her to work full-time since August while completing her degree. When it came down to interviewing, she had two options: Freedom Academy and another school. She knew immediately. “There was no need to interview at the other school,” said Cavalcant, whose children are 3, 5 and 8. “I started the next day,” she said. Cavalcant credited GCU with providing her resources to help her navigate the workforce and fulfill her goal to become a teacher. The College of Education also honored her this year with its Exemplary Teacher Candidate Award. 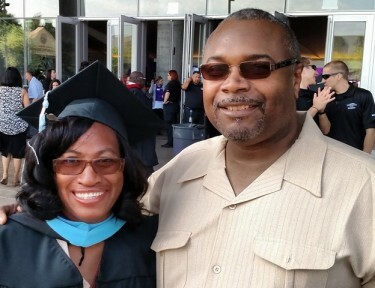 She was part of the Arizona Department of Education’s AZ Intern Certificate program, which provides an alternative path for teacher certification. The program fast-tracks qualified individuals into paid teaching jobs and allows them to complete the requirements for their teaching certificates as they work. For many schools, the program helps fill voids in their workforces. “It’s been so nice because I’ve been able to teach, make money and have my own classroom without doing the student teaching while fulfilling my teaching requirement,” Cavalcant said. Vemma Bapi came to Arizona for the first time this week to receive her BSN diploma from GCU’s College of Nursing and Health Care Professions. The journey, as the crow flies, was 2,458 miles, from Ted Stevens Anchorage International Airport, near Bapi’s home in the 49th state, to Phoenix Sky Harbor. It was no big deal — she has traveled much farther in her life. Bapi was born and raised in the central African nation of Cameroon, where as a child she began taking care of people in her neighborhood. Bapi, who was trained as a nurse and midwife in Nigeria, estimates she has delivered more than 200 babies in Africa. Attending an American nursing school has been a dream of hers. Bapi moved to Anchorage in 2008 and, after a Google search brought her to GCU’s website, she enrolled in the BSN five years later, finishing the program in December. She credits her enrollment counselor, Reyna Rabago, with helping her learn the ropes of online learning and encouraging her to press on. “She has been there for me, really stood by me,” she said. 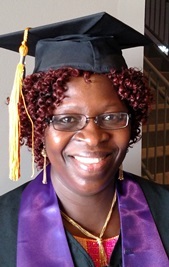 Bapi, who works as a patient care coordinator at a surgery center, was so enthused about her online learning that she immediately enrolled in the CONHCP’s master’s in nursing program and plans to finish in August. But she’s not done yet. Next up: Bapi plans to enroll in a Ph.D. program in public health with an emphasis in epidemiology. Having never been to GCU’s campus, she was looking forward to attending commencement in the Arena today. “I’m so excited because my counselor has told me so many nice things about it,” Bapi said. My cousin Mattie Attyberry and I have accomplished some of the same things in recent years. We were born a year apart in July, and our kids were born in the same year. I also graduated in 2013. I am so proud of her and have seen firsthand how dedicated and determined she has been in finishing school. It’s always a happy feeling when someone graduates and it’s even happier when parents still pursue school even if they already have kids to take care of. Kudos to the graduates!